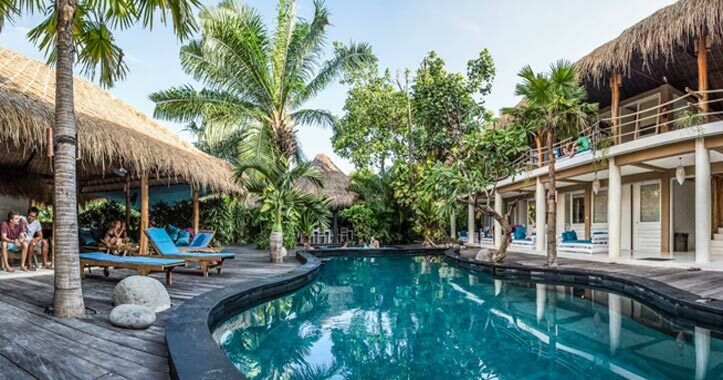 Booking accommodations for your Bali vacation has certainly become easier in the last couple of decades, thanks largely to the internet access we now have. If you have been thinking about booking a Bali villa rather than staying in a hotel, you are making a great choices. There’s really nothing better than having your own villa to kick back and add the finishing touches to your Bali vacation. It’s important to book your Bali villa far enough in advance to ensure you get the villa you want. There are many different price points so you should have no problem finding a villa that you want. Always book using a reputable travel agent or through a reputable website (which is the most common way to book). Use a credit card to pay for your booking – this provides you additional protection. When you are looking at Bali villas make sure you read all the details so you know exactly what your villa stay will include. For example, many will include their own private swimming pool, beautiful gardens, and staff. You should be able to find on the website detailed information about the number of bedrooms, and overall information about the villa, along with what amenities are included. You should find company information on the website as well. Book a Bali villa that meets your vacation needs – not all villas are the same. For example, if you are on your honeymoon or a romantic getaway you’ll be looking for something far different than a family that’s heading to Bali for a vacation. Your vacation will be that much better if you consider your needs in advance and book accordingly. Book well in advance so you won’t be disappointed. Bali villas are an excellent option that’s far more affordable than many realize. So come enjoy the vacation of a lifetime and accommodations you won’t soon forget.